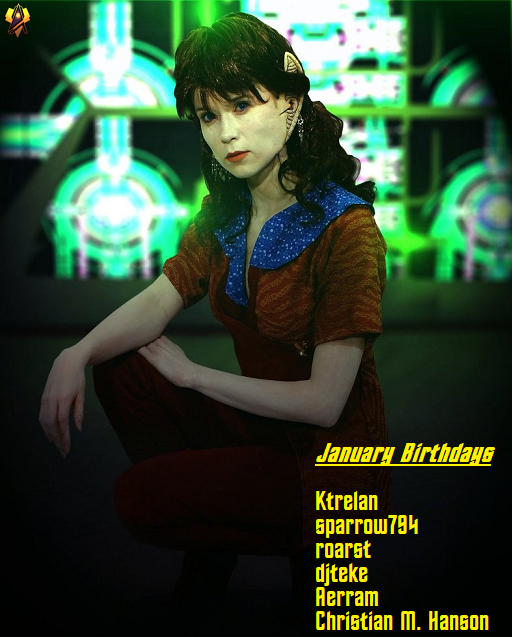 Happy New Year & Happy birthday to our January shipmates! Resist when surrounded, Fight when you have to, And obey orders explicitly when in danger. Aww crud, I didn't put in my birthday did I? I'm this month as well! Apologies, I get the birthday list from the website. Go to your options and make sure your birthday is listed. Happy Birthday to my fellow Aquarians!